Members of the public are welcome to attend meetings and address the Council.? Registration to speak may be made by telephone or in person before 2.00 pm on a meeting day.? These items will be brought forward at 5.30 pm in agenda order, and dealt with before other items.? Public addresses are limited to five (5) minutes per person with a limit of two people speaking for and two speaking against an item.? Council allows not more than two (2) members of the public per meeting to address it on matters not listed in the business paper provided the request is received before publication of the business paper and the subject of the address is disclosed and recorded on the agenda. 5.1???? Minutes of Meeting of Clarence Regional Library Committee of Management - 13 November 2009 ? 11.2?? Changes in Weed Management ?? Attached for Council?s endorsement are the Minutes of the Clarence Regional Library Committee of Management meeting held on Friday 13 November 2009.? Manager Community and Cultural Services comments:? Council will note that the Officer?s recommendation regarding RFID technology has been deferred by the Committee to allow for further discussion and consultation on the issue.? .? RFID is a Radio Frequency IDentification system and is the latest technology to be used in library theft detection.? It combines security with more efficient tracking of materials throughout the library.? Library members can self-return or self-borrow items, and inventorying, and materials handling are more streamlined.? RFID is a combination of radio-frequency-based and microchip technology.? There is an initial cost to establish the RFID system and then an annual charge.? In addition all library materials would be microchipped/tagged.? The CRL Strategic Plan notes the costs as $423,235 (set-up) plus $45,405 per annum indexed.? One of the difficulties for the Library Committee is that if one library in the region wishes to introduce the system, then ALL Clarence Regional Library items would need to be tagged and therefore the three Councils would be contributing to the cost to establish the system even if it was not used in their libraries.? There also appears to be some concern about the timing ? the review of library operations and the future of the regional library structure as it currently stands is not yet complete; and CRL are currently undertaking a stock-take of items to determine if theft of library materials is significant (theft is one of the reasons some libraries install RFID).? The cost of introducing RFID to Nambucca Shire libraries is $79,800 plus $8,300 per annum and at this stage there is no evidence to show there would be any savings.? There are no environmental considerations. The Minutes do not identify any specific social considerations. Nothing specific is identified for this financial year. There is no impact on Council?s current budget.? Any impact on future budgets will be determined by each member Council in the preparation of their budgets.? There are no actions requiring additional financial commitment from Council in the current financial year. MINUTES of the meeting of the CLARENCE REGIONAL LIBRARY ADVISORY COMMITTEE, 13 November 2009 at Clarence Regional Library Headquarters, Spring Street South Grafton. Katrina Shillam (Grafton Branch Librarian)??????????????????? 3. CONFIRMATION OF MINUTES ? Meeting held 7 August 2009. That the minutes of the Clarence Regional Library meeting held on 7 August 2009 be accepted. 4. BUSINESS ARISING FROM THE MINUTES ? MEETING HELD 24 APRIL 2009. This report presented the conclusions of the review into current Library Service Model operating as the Clarence Regional Library and recommended a model for future operation. That the Modified Hybrid Model and associated conditions be adopted as soon as possible by the Clarence Regional Library Committee as the easiest to implement and most cost effective option investigated in the review of the service model options for the Clarence Regional Library. That the recommendation of the Service Model for the ongoing delivery of Library services currently known as the Clarence Regional Library be deferred until the next meeting following further investigation into the specific costs of RFID which is to be provided to the CRLC. This report provided an estimate of the contribution by each member Council to the Clarence Regional Library budget for the 2010/11 financial year. That each member Council be advised of the estimated contribution equating a 10% increase in the per capita contribution to the Clarence Regional Library for inclusion in the preparation of their 2010/11 budgets with an amended figure to be provided as soon as population data is made available from Libraries NSW. That the Officer?s recommendations be adopted. This report outlined the current status of Clarence Valley Council?s Volunteer Policy for consideration by the Clarence Regional Library Committee. That draft library specific guidelines are to be prepared to support more generic volunteer policies yet to be prepared by each member?s Council and be reported to the next meeting. This report outlined the nomination of an additional Councillor to represent Clarence Valley Council on the Clarence Regional Library Committee to replace the member position currently held by the Executive Officer. That Councillor Margaret McKenna?s, Clarence Valley Council, membership of the Clarence Regional Library Committee (CRLC) be noted as the replacement for the Executive Officer. This report provided a summary of the information that will need to be considered during the development of the Collection Management Plan. 2.?? That Library professional trends and publishing industry information be provided to the meetings of the CRLC to enhance the knowledge of the delegates on matters concerning the delivery and development of library services. This report outlined the draft project plan for the implementation of RFID across the Clarence Regional Library network. That the proposed project plan be noted and that consideration be given to the project plan during future budget deliberations. Cr Smyth presented a copy of the Information Kit for Volunteers that is provided to all new volunteers for the Nambucca Shire, noting the information designed specifically for library volunteers. Completed priority of projects to be set in the 10/11 budget. The RTA has advised as follows: The RTA has inspected the site and undertaken a review of the speed limit in accordance with the 2009 NSW Speed Zoning guidelines.? Factors such as roadside development, road and traffic characteristics, number of access points and crash history were considered. From this information the RTA has determined that the existing speed limit is commensurate with the criteria for a 60km/h speed limit.? Therefore, no adjustments will be made at this time. Meeting with Minister for Transport (David Campbell) on 3 December 2009.? No response as at 8 January 2010.? No response as at 25 January 2010. Awaiting response from Minister Costa. Matter discussed and will come back to Council with recommendation. Deferred to GPC in February 2010. With Council?s decision on the new 2010-2012 Environmental Levy this matter will not be perused except if external funding opportunities arise. Report to come to GPC in February 2010. All submissions are considered with report to Council for February GPC. Report not likely to make February 2010 GPC now targeting March 2010 GPC. Invitation to be issued for meeting on Friday 12 February 2010. Property officer advising adjoining owner. Application submitted to DECCW for vegetation capping layer to cell 1 submitted on 22/1/2010.? CHCC and Biomass advised. Worksite perimeter fencing checked and made good.? Letter to ASIC sent 28/01/2010. Advertisements and media release issued on 26/1/2010. General Manager uphold resolution of 18/12/2008 that as a matter of policy Council be forwarded draft Plans of Management by way of memo at least three weeks before a GPC meeting so those comments can be considered after collation and prior to the next GPC meeting.? This also applies to draft policies. AUTHOR/ENQUIRIES:???? Bruce Potts, Section 94 Co-ordinator ???????? The New South Wales Government has released the Draft Local Development Contributions Guidelines for public comment until 26 February 2010.? These Guidelines will replace the previously issued Practice Notes dated July 2005 and December 2006 and are intended to provide instruction and assistance to Councils in the preparation of local development contribution plans required under the proposed Part 5B of the Environmental Planning and Assessment Act. This Report provides information to Council regarding the key changes under the proposed Legislation, in the preparation and administration of developer contributions for local community infrastructure, previously referred to as Section 94 Contributions. Council may object to the changes outlined in the Draft Guidelines by the closing date of 26 February 2010. The Department of Planning has released the Draft Guidelines for public consultation and will receive submissions up to the close of business 26 February 2010. On the 25 June 2008 the Environmental Planning and Assessment Amendment Bill 2008 (The Bill) was assented in the Parliament of New South Wales.? The Bill was the subject of a previous Report to Council in 2008, principally detailing the key aspects of the new Part 5B. As a prelude to the Bill?s Proclamation, the Department of Planning has prepared the Draft Local Development Contribution Guidelines and these have now been released for public comment until 26 February 2010.? The Guidelines have been prepared to assist Councils in understanding the issues and legislative framework of Part 5B of the Environmental Planning and Assessment Act 1979 (the Act) and its relationship to development contributions and the provision of public infrastructure. The Guidelines have been provided to assist Councils in the preparation of planning agreements, direct contribution plans (previously referred to as s.94 plans) and indirect contributions plans (previously referred to as s.94A plans) under Part 5B. ?????????????? Establishing a strategic framework for the Minister, Department, Councils and other planning authorities by setting out key considerations for determining, collecting and then spending contributions. ?????????????? Permitting Councils to take contributions for community infrastructure subject to new accounting requirements. ?????????????? Establishing a two tier system for local contributions whereby Councils may continue to levy for contributions on key community infrastructure without Ministerial approval, or where additional community infrastructure is required seek approval from the Minister through demonstrating a business plan and independent assessment of the proposed infrastructure. ?????????????? Prevents double dipping by allowing only one contribution type, either direct or indirect, but not both to operate over a particular development. ?????????????? Variation in the indirect contribution levy via Ministers approval. ?????????????? Improved reporting requirements on collection and expenditure of contributions. ?????????????? Retaining Councils role in control and management of contributions. Principle issues to be addressed when levying a developer contribution under Part 5B, and in the preparation of plans, are outlined in the Guidelines.? Amendments made to the former s.94 of the Act in 2005 and 2006 have laid much of the groundwork and legislative structure of Part 5B which contains significant changes in the terminology, reporting and administration of developer contribution plans in this State. As previously required under s.94 of the Act, Councils are directed under Part 5B (s.116D) to address key considerations for development contributions prior to introducing new development contributions plans or planning agreements. However, significantly, Councils will now be required to provide a response demonstrating that due regard has been paid to the considerations. This response is to be exhibited with the draft contribution plan or planning agreement. Community infrastructure for which contributions may be levied without Ministerial approval are defined under cl.31A(1) of the Environmental Planning and Assessment Regulation (the Regulation). These are generally facilities and infrastructure that have a clearly local function and can be directly linked to the contributing development, or may have a district significance that includes the local contributing catchment. The Guidelines define a local or district service catchment as ?being equal to or smaller than the local government area.? Types of infrastructure that have a service catchment extending beyond the local government area are not deemed key community infrastructure under the proposed Legislation. Notwithstanding this, Councils have an opportunity to levy contributions either through cross boundary contribution plans, or through Ministerial approval. Under the Legislation community infrastructure that does not comprise buildings or works, for example rescue equipment, books, computers, is not key community infrastructure unless it is deemed as being part of a necessary fit out associated with a built key community infrastructure, such as a library. With regard to provision of emergency services such as surf life saving, rural fire services and SES, contributions can only be levied for buildings and not for vehicles or equipment. It has been indicated by the Department of Planning that existing contribution plans prepared under s.94 will be automatically repealed eighteen (18) months from the date of commencement of Part 5B. All current plans must, by that time, comply with the provisions of Part 5B. While no date for proclamation of the Act has been announced, it is considered likely to occur prior to June 30 this year. The application of planning agreements between a Council and developer is no longer bound to being instigated by the developer as a voluntary planning agreement, thereby providing for greater flexibility in achieving tailored development and public benefit outcomes. A significant departure from the previous Legislation is the acknowledgement in the Guidelines of the resource burden the preparation and administration of contribution plans places on Councils and that staff employed in the planning, preparation and administration of contribution plans are recognised as key community infrastructure and can therefore be resourced through developer contributions. The impending Part 5B Legislation will require Council to amend the current Section 94 Developer Contribution Plans to reflect the changes, however the plans adopted after 2007 are likely to require only minor amendments to include the new reporting arrangements.? The current contribution plans prepared under s.94 of the Act are likely to remain in force for an eighteen month transitional period after the Part 5B legislation commences, however all new contribution plans prepared from now on should be developed to include all the requirements outlined in the Draft Guidelines to ensure future compliance. Developer contribution plans form an important strategic planning tool for Council and as such provide longer term sustainability of infrastructure and facility delivery. It is unlikely that changes to the current Legislation will significantly impact on Councils capacity to deliver future community facilities and infrastructure required to meet increased demand. Developer contributions represent a significant income stream for Council.? It is unlikely the proposed Part 5B changes to the legislation will affect a Council in terms of the capacity to impose a demand for a developer contribution. Council resolved to receive a report on options to assist with School Water Safety and Swim Programs (?Swim & Survive?) following a delegation to Council from local Parent & Citizen Associations (?P&C?s?) as a consequence of the recent price increase imposed by the pool Contractor. Of the 6-7 Schools which normally utilise the pool for their Swim and Survive program two have completed the program already (Eungai Public School and Saint Patrick?s Primary).? The delegate for Macksville P&C advised Council that both Macksville Public School and Scotts Head Public School will not conduct their program as a consequence of the fee increase.? Bowraville P&C and Stuarts Point P&C have advised Council of their objections to the fee increase but have not confirmed their intention to conduct the program at the MMAC or otherwise.? Medlow School likewise has not booked nor advised of their withdrawal. The current fee of $2.50 per session is set by the Contractor and was detailed in the Contractor?s Tender submission and accepted by Council.? This rate is $1.00 less than the standard child entry fee.? Further the rate is in keeping with fees charged for Swim & Survive programs by aquatic centres in Port Macquarie, Kempsey, Coffs Harbour and Sawtell. Council subsidised Swim and Survive programs when the facility was managed by Council.? The Council subsidy equated to a 66% reduction in the standard entry fees.? The current pool Contractor has extended a 30% reduction in standard entry fees ie $2.50 per visit instead of $3.50 standard entry.? By way of contrast the Nambucca Indoor pool which is reportedly used by the Nambucca Schools for their Swim and Survive programs charges a concession rate of $3.20 per session. Delegates to the 17 December 2009 meeting requested for Council to subsidise the Swim & Survive program. To maintain the rate charged in previous years (based on estimated attendances for this year) the subsidy would amount to approximately $5,000.00. 1????????? That Council in recognition of the price increase from previous years and to assist families with students attending school Swim and Survive programs by rebating to the respective Schools 28% of the new fee structure as a one off subsidy for the 2009/2010 program, such rebate to be calculated on attendance records compiled by the Contractor. 2????????? Council can elect to rebate the total difference between the current and previous fees structure. The Swim & Survive program comprises learn to swim and water safety activities conducted by the respective Schools over ten days.? Each session runs for approximately 1 hour.? It is customary for the School groups to have free swim time including use of the waterslide at the end of the last days session. The Contractor advises that the use of the waterslide on these occasions is covered in the entry fees. A survey of swimming pools in the surrounding area illustrates that the current entry charge is within the general market range. *Council has received correspondence from Stuarts Point Public School opposing the fee increase however the Contractor advises that they have no record of this School having utilised the pool for Swim and Survive programs in the past.? Medlow Public School reportedly did not conduct the program last year however in previous years have had approximately 18 participants. Based on the above the total number of students that would likely participate if all Schools conducted their program would be approximately 359. The total admission fee for these students would equate to 359 X $2.50 X 10 sessions = $8,975.00. Under the previous fee structure admission for 359 student would have been 359X$1.10X10 = $3,949.00 equating to a difference of approximately $5,000.00.? The Delegations to Council?s meeting 17 December were seeking a Council subsidy for the Swim & Survive programs in this amount, or in the alternative assurance that Council will retain control of such entry fees in future management contracts and in so doing ensure that the fees remain at a subsidised level. It is recognised that the current fee is a significant increase from the unusually low rate of previous years. Whilst the current fee is considered fair and reasonable the increase may pose financial hardship to some families in the Shire.? On this basis one option is that the new fee structure be phased in over two years ie entry fee for Swim & Survive of $1.80 for 2009/2010 and $2.50 for 2010/2011. Should Council pursue the above a subsidy of $2,513.00 (based on 359 participants) would be required. As a number of Schools have already completed the Swim and Survive program the most equitable way to disperse the subsidy would be to rebate the Schools (or P&C Association) based on the record of attendance.? The rebate should be extend on the proviso it is used solely for future Swim and Survive programs. The recommendations do not give rise to any environmental issues. It is likely that the recommendations will not satisfy the representative P&C?s.? The operation of the swimming pool is a significantly costly venture.? Council already provides a substantial subsidy for its operation and management. The recommendation does not present any significant risk to Council.? To meet a subsidy from current budget allocations funds will need to be drawn away from the Pool maintenance budget.? Likewise funds for a pool risk audit were earmarked to benchmark the Contractors risk management performance.? Whilst it is not desirable to delay both the scheduled maintenance and risk management audits the day to day operation of the pool will not be significantly affected in the short term as a consequence. Council has received an offer of an interest free loan for $12.75 million for the augmentation of the Nambucca Heads Sewage Treatment Plant and Pump Stations. 1??????? That Council accept the offer from the NSW Local Infrastructure Fund of a $12.75 million interest free loan over a maximum period of ten years for the augmentation of the Nambucca Heads Sewage Treatment Plant and Pump Stations. 2??????? That Council?s seal be affixed to loan documents as required. Council made application for an interest free loan of $17 million under the NSW Local Infrastructure Fund for the augmentation of the Nambucca Heads Sewage Treatment Plan and Pump Stations. From 100 applications, the former Minister for Planning, the Hon Christina Keneally MP, has now approved 37 projects, including an offer to Nambucca Shire Council of $12.75 million as an interest free loan over a maximum period of ten years.? This amount is to cover the gap between the Country Towns Water Supply and Sewage Program funding and the Project cost. On the basis of the media release from the Premier, the offer to Nambucca Shire Council represents the highest per capita offer to any Mid North Coast Council and again thanks must be directed to Council?s Grants Officer for this outstanding result in a very competitive process.? The cost of borrowing money for such large infrastructure projects is currently about 8% and increasing so the offer stands to save Council in excess of $1 million in the first year alone.? Council must now formally accept the loan and attach its common seal to the loan agreement. Council?s Accountant who is keen to receive the money and invest it as soon as possible.? Because the funds will be drawn down reasonably quickly to pay the contractor, they will be invested in term deposits with banks and other financial institutions approved by the Division of Local Government. There are no risk implications, but a substantial reward for a good application. Any investment income will benefit working funds. Council has to formally accept an offer of funding under the Country Towns Water Supply and Sewerage Program for the construction of the Nambucca Heads Sewerage Augmentation Scheme. 1??????? That Council accept the offer of $4,864,780 funding under the Country Towns Water Supply and Sewerage Program for the construction of the Nambucca Heads Sewerage Augmentation Scheme. 2??????? That Council?s seal be affixed to any agreement as required. Council has received an offer from the Minister for Water, the Hon Phillip Costa MP, under the Country Towns Water Supply and Sewerage Program for the construction of the Nambucca Heads Sewerage Augmentation Scheme. The offer is for $4,684,780 being 25.5% of the assessed eligible cost of $18,371,685 (excluding GST). Council needs to formally accept the offer and attach its seal to the funding agreement. The budget has already made provision for this financial contribution. Issues to be dealt with in the condition of consent. Consent to be issued by mid-February. Heggies Pty Ltd was commissioned by Nambucca Shire Council to conduct an acoustical assessment on the Macksville Industrial Estate in response to noise complaints. The study took place in February 2009 and included three hot spots for noise complaints from activities in the Industrial Estate. The report found that in two of the hot spot areas noise from industry exceeded the Department of Environment and Climate Change (DECC) NSW Industrial Noise Policy guidelines. Various recommendations were put forward by Heggies and are included in this report. The report was sent out to all residential, rural residential and industrial landowners whose properties are at the interface between the relevant zones inviting comment. Several submissions were received which were referred to Heggies for consideration. 1????????? That the report be noted. 2????????? That the recommendations from the Heggies report for new developments, be further considered in the review of Development Control Plan 5 ? Industrial Development. 3????????? That Council staff work with operators identified in the Heggies report in an attempt to further address and implement recommendations for noise attenuation. 4????????? That the recommendations from the Heggies report for future residential development near the Macksville Industrial Estate, be incorporated into future residential Development Application along the industrial/residential interface. 5????????? That the following wording be incorporated into all future Section 149 certificates for both residential, rural residential and industrial properties located along the interface between the relevant zones. ??????????? Council advises that this property is located along the interface between residential, rural-residential and industrial zoned land and as such, certain land uses are permissible within each of these zones that may at times provide conflict due to such land uses. There are various legislation that apply to such matters and compliance with such legislation may not necessarily be to the satisfaction of all landowners/occupiers. 6??????? That Council proceed to prepare a design for the staged construction of a sound barrier ????????? along the north eastern boundary of Lot 3 DP248561 as depicted within the Heggies report. Such barrier to be a combined earthen mound (stage 1) and timber panel on steel ? post fence (stage 2) with stage 2 only proceeding following a review of noise issues in this ?????? location and when funds become available. There are various options available to Council however, the recommendations are considered the most appropriate at this time. Heggies Pty Ltd was commissioned by Nambucca Shire Council to conduct an acoustical assessment on the Macksville Industrial Estate in response to a number of noise complaints associated with industrial activities and the noise generated over the old timber Upper Warrell Creek overbridge and access road into the Macksville Industrial Estate. ?????????????? To determine background noise levels in the area and operating noise levels of existing industrial activities at the site. ?????????????? To identify and recommend noise mitigation strategies/structures where necessary/feasible. ?????????????? To consider design options for future industrial developments at the site. ?????????????? Consider design standards for future residential developments in the affected residential areas and additional noise mitigation measures if required. Three receptor areas, Northwood Close, Wallace Street and Laura Place were chosen for the study. The following is an account of the main noise sources. ?????????????? Noise from Mid Coast Trucks including hammering, cutting, drilling, grinding, banging and dropping of steel objects. ?????????????? Trucks and semi-trailers arriving and leaving the industrial estate via Yarrawonga Street, Binalong Way and Upper Warrell Creek Road. This included air brakes, engine noise, load noise and road noise. ?????????????? Construction noise from the construction of the new concrete bridge on Upper Warrell Creek Road. ?????????????? Noise sources were generally noted between approximately 6:00 am and 5:00 pm. ?????????????? Vibrating plate at AbiGroup. The above noise sources were predominantly stated to be from the AbiGroup area of the industrial estate and were generally noted to be occurring between approximately 6:00 am and 7:00 pm. however on several occasions noise sources were stated to be operating throughout the night. Noise monitoring was done between 9 February 2009 though to the 20 February 2009. It was found that existing noise emission levels from the Macksville Industrial estate exceed the criteria at all locations during the day, evening and night. ?????????????? Determining the noise reduction required to achieve the project-specific noise levels at the nearest noise sensitive receivers. ?????????????? Identifying the specific characteristics of the industry and the site that would indicate a preference for specific mitigation measures. ?????????????? Examining the mitigation strategies chosen by similar industries on similar sites with similar requirements for noise reduction; and considering that strategy?s appropriateness for the subject development. ?????????????? Considering the range of noise-control measures available. ?????????????? Considering community preferences for particular strategies. This is especially important when the community has particular sensitivities to noise. ?????????????? Land-use controls - a long-term strategy preferable to other measures when such strategic decisions are possible in planning land use, as it separates noise-producing industries from sensitive areas and avoids more expensive short-term measures. ?????????????? Control at the source - Best Management Practice (BMP) and Best Available Technology Economically Achievable (BATEA). These strategies serve to reduce the noise output of the source so that the surrounding environment is protected against noise. ?????????????? Control in transmission - the next best strategy to controlling noise at the source?it serves to reduce the noise level at the receiver but not necessarily the environment surrounding the source. ?????????????? Receiver controls - the least-preferred option, as it protects only the internal environment of the receiver and not the external noise environment. The DECC Industrial Noise Policy states that often the range of planning instruments which can be applied to existing sites is limited. For example Heggies notes that planning approaches and land-use controls are generally not available at this stage. Therefore operational and immediate cost-effective measures that can minimise noise with minimal impact on the noise source should be identified and implemented. Noise levels at Northwood Close are dominated by industrial noise from Mid Coast Trucks at the south east of the industrial estate and vehicle movements along the access routes to the industrial estate. Noise sources at Mid Coast Trucks include angle grinding, banging of metal, welding and vehicle movements. facing towards the noise sensitive receivers on Northwood Close and, as such, minimal sound insulation is offered by the industrial building itself. Noise levels here were significantly affected by construction activities taking place to the east of the property where the existing wooden bridge on Upper Warrell Creek Road has now been replaced. Road traffic noise, in particular from heavy vehicles entering the industrial estate, is also a significant noise source at properties on Northwood Close. Heggies recommends that the most effective measure of reducing noise levels for residences along Northwood Close is to reduce source noise levels at Mid-Coast Trucks and along the access routes to the industrial estate. ?????????????? Restrict operations to daytime hours (i.e. between 7:00 am and 6:00 pm Monday to Saturday). ?????????????? Ensure noisy operations are carried out inside the industrial building and roller doors are kept closed. ?????????????? Scheduling of the use of noisy equipment to the least sensitive times of day. ?????????????? Eliminate the dropping of metal items on concrete surfaces. ?????????????? Ensure all equipment and machinery is appropriately maintained. ?????????????? Signage along Upper Warrell Creek Road and Yarrawonga Street for drivers to minimise noise and reduce air braking. In order to reduce the impact of noise at the dwellings on Northwood Close a noise barrier could also be constructed along the north-eastern boundary of the properties as shown in Figure 1. In order to be effective, the fence should be at least 3.5m high. The fence should be of a solid timber, concrete or masonry construction and should be sealed at the base with no gaps or holes. Additionally, it is recommended that a noise barrier is constructed along the eastern boundaries of properties which face onto the access routes to the industrial estate. Council was advised of estimated costs for such a noise barrier which are in the order of $28,000 - $35,000 (Timber palings on steel posts) and $90,000 - $110,000 (Hebel masonry panels with steel posts). It is possible to reduce the actual height of the fence by incorporating an earthen mound with the solid fenc above the mound. This combination of barrier would reduce the costs provided the mound was fill/spoil provided at no cost. The attended noise survey on 20 February 2009 and the noise complaints logbooks (from September and October 2008) identified industrial operations from the Abigroup site as being the dominant noise source for residences on Wallace Street. Noise complaints relating to the Abigroup site identified the vibrating plate, reverse beepers, vehicle noise and hammering/grinding as the main sources of noise. Due to the topography between the residences and Macksville Industrial Estate noise barriers are not a realistic or feasible option for reducing noise levels from the Abigroup site. Therefore Heggies recommends that noise mitigation at the source is required. ?????????????? Enclosing the noise sources ? most plant on the Abigroup site are located outside and not within buildings or enclosures. ?????????????? Locate noisy equipment behind onsite structures that act as barriers. ?????????????? Ensure all equipment and machinery is maintained. Council is advised that a number of new management practices have been implemented at the Abigroup site since the report was completed and operations have not been continuous. One of the major issues that remains is the fact that the large shed over the beam manufacturing area is not enclosed leaving the eastern elevation open to residential properties along Wallace Street. During the operator attended noise monitoring there did not appear to be any operations taking place in the units closest to Laura Place and dominant noise sources were distant industrial noise sources from the industrial estate and distant road traffic noise. Before any new industry is granted planning permission to move into these units a detailed noise assessment should be undertaken to determine the likely impact on dwellings at Laura Place. Noise impacts from these units may be minimised with a noise wall along the southern boundary of the industrial estate. Reduction in source noise levels on the industrial estate will serve to reduce the noise impact of distant industrial noise sources at Laura Place. Future industrial developments should be assessed on a ?case by case? basis to ensure that any successive development at Macksville Industrial Estate does not adversely impact upon local residents. Conditions relating to noise should be included in the conditions of consent for new industries and prospective industries should be required to provide an acoustic report from a suitably qualified acoustic consultant to identify appropriate noise mitigation measures to meet acceptable noise criteria as well as the cumulative noise impacts. 1????????? Land-use controls. Separate high noise industries from noise sensitive receivers. 2????????? Operating hours should be restricted to the daytime period as defined by the DECC Industrial Noise Policy (i.e. between 7:00 am and 6:00 pm Monday to Saturday). 3????????? Selecting low noise plant and equipment incorporating available noise control kits. This should be among one of the first measures chosen to minimise noise impact. For example, exhaust and radiator silencers on mobile plant will generally result in a 5 dBA noise reduction of that piece of equipment. 4????????? Adding attenuators to exhaust and ventilation fans. As with silenced plant items, this should be one of the first management options to ensure that fan noise levels will be reduced by a predetermined margin and emissions will not exceed acceptable limits. 5????????? Providing acoustical enclosures and acoustical treatment of process buildings. This is a very effective solution. A reduction in the order of 10 dBA can be expected from a lightweight sheet metal enclosure. Ventilation openings and doors should be oriented away from noise sensitive receivers. 6????????? Orientation of buildings such that roller doors and openings face away from noise sensitive receivers. 7????????? Eliminating tonal, impulsive or intermittent noise emission characteristics. These characteristics are more likely to cause annoyance because the likelihood of complaints is less for a continuous broadband noise than one which is intermittent and/or tonal. Tonal components are often due to a fault in the machinery and may be eliminated by appropriate maintenance. 8????????? Regulating emissions from reversing alarms. ?Smart? alarms can be selected which limit the reversing signal to 10 dBA above the ambient noise level, thus reducing intrusiveness particularly at night. Alternatively, the use of ?broadband? reversing alarms which emit a broadband sound, instead of the single frequency sound of traditional reversing alarms, have been shown to reduce noise annoyance. 9????????? Provision of sound walls and acoustical screening. This option is generally effective when plant is operating at ground level in close proximity to the screen. Also, earth embankments can often be constructed. However, the use of bunding becomes less effective the further the noise source and the receiver are located from the bund. 10??????? Incorporating optimum buffer zones and setback distances. This is only of use where large distances are involved. In general, doubling the distance between the source and receiver will result in a 6 dBA reduction in noise level. Council's current Development Control Plan 5 ? Industrial Development is under review and the recommendations from Heggies will be further considered for inclusion. This may see the introduction of additional design controls for industrial buildings along the zoning interface requiring industrial buildings to have external walls of concrete tilt-up or masonry construction rather than steel clad walls. Requirement for R3.0 or greater insulation blankets under all steel roofing with no translucent sky light sheeting. All external openings and placement of machinery along the interface would need to be shielded or enclosed. Any access doors or large openings would need to be designed/positioned to open away from the interface. This form of construction whilst very common, is more expensive and does not result in an increased square metre lease return. This type of construction however, would more than likely overcome any additional noise mitigation requirements due to the use? or any subsequent change of use of the building.? 1????????? Building location, orientation and room layout. Noise sensitive areas of the building, such as bedrooms and other habitable rooms, should be placed on the side of the building furthest from the source of noise. Conversely rooms which are less sensitive to noise (laundries, storage rooms, corridors etc) should be placed on the noisy side of the building to act as a noise buffer. Gardens and outdoor recreation areas should be oriented to be on the quiet side of the building. 2????????? Minimise the number of doors and openable windows on the noisy side of the building. 3????????? Upgraded building constructions including masonry walls, double glazing and alternative methods of ventilation to allow cooling of property without the need to open windows. ?????????????? AbiGroups acoustic study found higher background levels than what Heggies P/L reported. ?????????????? Enforcing stricter building conditions as well as BASIX would deter some potential property buyers in some areas. ?????????????? Kit home companies may not consider building in proximity to the industrial area due to increased cost of noise mitigation constraints. Three of the submissions did not relate to the current study but were about traffic noise, therefore it is noted, that there may be a need for a further noise study of vehicle movements on Warrell Creek Rd and into the industrial estate now that the new concrete bridge and roadworks have been completed. Council at its 21 January 2010 meeting when endorsing the recommendations for the 20 January 2010 General Purpose Committee sought the consideration of a note being inserted on Section 149 Certificates for residential properties adjoining the industrial area. Council advises that this property is located along the interface between residential, rural-residential and industrial zoned land and as such, certain land uses are permissible within each of these zones that may at times provide conflict due to such land uses. There are various legislation that apply to such matters and compliance with such legislation may not necessarily be to the satisfaction of all landowners/occupiers. Noise is pollution and any noise mitigation measures will be advantageous to the immediate environment. Residents living around the industrial estate will have less stress levels brought on by disrupted sleep and resting patterns. The potential for increased residential harmony for future residential development will be maximised. For economic development to go ahead in a sustainable way, noise mitigation measures must be taken into consideration. The risk of doing nothing far outweighs any risk of lowered economic development in the area. The loss of residents can have a detrimental affect to the character of an area. Hardstand noise mitigation measures will have an impact of future budgets, such as the noise wall to protect Northwood Close. AUTHOR/ENQUIRIES:???? Arthur Tsembis, Manager Planning and Assessment ???????? The subject land currently forms part of Coronation Park, which was rezoned 2(a) Residential and reclassified to operational land in accordance with LEP Amendment No 42. The rezoning and reclassification has previously undergone the rigours of public exhibition and a public hearing to enable Council to reclassify, rezone, subdivide and sell the subject land. The development application was advertised and notified to adjoining residents. As a result of this action, no submissions were received. All proceeds from the sale of the land are intended to be used for improvements to Coronation Park. b?????????? refusing consent to the application. The subject land currently forms part of Coronation Park. The development area comprises approximately 1,640m2. 1????????? That Council proceed with draft Local Environmental Plan Amendment No. 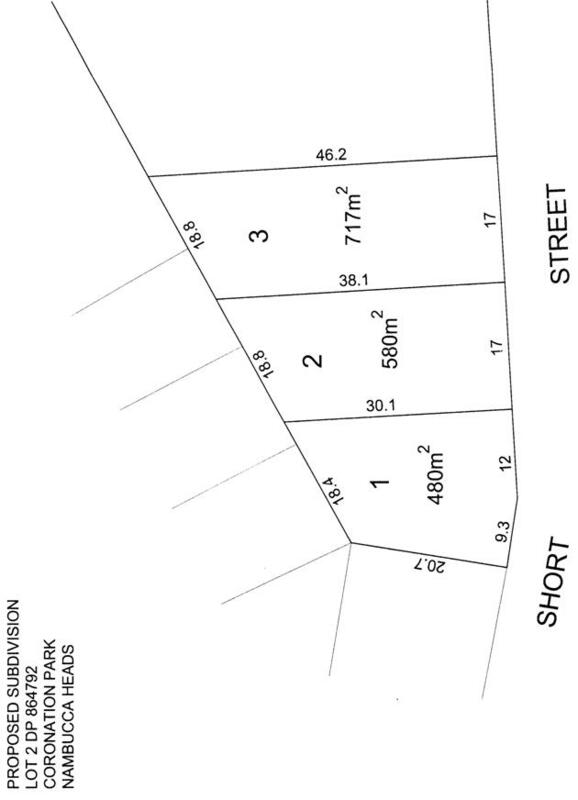 42 to rezone the identified section of Coronation Park as Residential 2(a) ? Low/Medium Density and refer the draft Local Environmental Plan together with the findings of the Public Hearing to the Minister for Planning and/or the Minister for Local Government for final gazettal. 2????????? That Council provide a written undertaking to the Coronation Park Committee of Management that all proceeds from the sale of the land will be expended on agreed improvements to Coronation Park. 3????????? That upon reclassification of the land that its sale be by auction with a reserve price to be fixed by the average of two valuations and that Council?s seal be attached to documents as required. ?Advice has been received from the Department of Planning advising that Amendment No 42 to Nambucca Local Environmental Plan 1995 (NLEP 1995) has been approved and took affect from 7 August 2009 following its Gazettal. NLEP 1995 No 42 is the reclassification and rezoning of approximately 1600m2 of land within Coronation Park from Community Land to Operational Land and from Zone 6(a) Public Recreation to Zone 2(a) Residential (Low-Medium Density).? 2????????? That Council now proceed to prepare a development application for the excising of the rezoned land and its subdivision into residential lots, the number of which would provide the most advantages return for Council (ie 1, 2 or 3 lots). 3????????? That the General Manager be authorised to sign and submit the Development Application and prepare or have prepared all necessary documentation required to accompany the application for subdivision and all subsequent legal requirements for the registration of title, contracts, valuations etc. A development application to subdivide the subject land into four (4) lots consisting of three (3) residential lots comprising areas of 450m2, 580m2 and 717m2 and a residual lot of approximately 4.765 ha, has now been submitted for Council?s consideration. A copy of the subdivision plan is attached to this report. Council?s Manager Business Development has prepared a Statement of Environmental Effects (SEE), a copy of which is also attached to this report. Council?s Manager Technical Services has provided appropriate engineering conditions to be included in any development consent granted by Council. There were no relevant matters for consideration by Council?s H&B department. In accordance with LEP Amendment No 42, the zoning of the subject land under LEP 1995 is 2(a) Residential (Low-Medium). The proposed subdivision and disposal of operational land is permissible with consent and is consistent with the objectives of the 2(a) zone. The proposed lots comply with the minimum 450m2 allotment size under Clause 26(1) of LEP 1995. In accordance with draft NLEP 2009, the subject land is intended to be zoned R3 ? Medium Density Residential. The proposed subdivision is in keeping with the objectives of this zone and permissible with development consent. The proposed subdivision complies with all the relevant provisions of DCP No 4. The proposed development was advertised and notified in accordance with DCP 12. The proposal site is contained within the coastal zone as identified in this policy. However the proposal is not listed as significant development (Schedule 2) or within a coastal sensitive location. Therefore there is no requirement for a master plan to be prepared, nor for Council to refer the proposal to the Department of Planning. The proposed subdivision of the land is in keeping with the context and setting of the existing residential precinct. As such it is unlikely to have an adverse impact on adjoining and nearby residents in the locality. However, any future residential development of the respective lots will be assessed in a separate development application, where issues such as the design of building, loss of privacy, etc, will be addressed. There are no physical constraints on the site that would make the land unsuitable for subdivision as proposed. The design, siting and construction of dwellings will need to be considered when an application is submitted for the erection of the building. The proposed development was advertised and notified from 11 December 2009 to 11 January 2010. As a result of such action no submissions were received. The public interest has been addressed by applying an appropriate level of development assessment in accordance with all relevant legislative requirements, policies and plans. There are no environmental impacts issues associated with the subdivision of the land. Any environmental impacts associated with any future residential development of the land will be managed through consideration of any application for dwellings. The land is currently underutilised and requires on-going Council maintenance, without providing any recreational benefit to the broader community. The subdivision and sale of the land will provide an opportunity to improve recreational facilities in Coronation Park. The proceeds of the sale will be used to improve recreational facilities in Coronation Park. Council?s Land Development Committee and the Coronation Park Committee of Management have indicated their support for the proposed subdivision and sale of the subject land. There are no apparent risks associated with the proposed subdivision and subsequent sale of the subject land. Cost attributable to the subdivision and sale will be recovered from the proceeds of the sale. There should be no impact on working funds. The development is to be implemented generally in accordance with the plans and supporting documents set out in the following table except where modified by any conditions of this consent. A 1.2 metre wide concrete footpath across the frontage of the subdivision. Inter-allotment drainage to an approved public drainage system for collection of stormwater from upstream blocks. Erosion and sedimentation controls are to be in place in accordance with Managing Urban Stormwater - Soils and Construction Vol. 1, 4th Edition prepared by Landcom. a??????? Monday to Friday, 7.00 am to 6.00 pm. b??????? Saturday, 8.00 am to 1.00 pm. c??????? No construction work to take place on Sundays or Public Holidays. The creation of easements for drainage of water, with a minimum width of 1.5 metres, over all inter-allotment drainage pipelines and structures located within the proposed allotments. Written evidence from an electricity supply authority is to be submitted with the application for a subdivision certificate stating that satisfactory arrangements have been made for the provision of electricity supply to the proposed lots. Written evidence from Telstra is to be submitted with the application for a subdivision certificate stating that satisfactory arrangements have been made for the provision of underground telephone supply to the proposed lots. ????????? The provision by the applicant, at his expense, of the following works and services in accordance with Council?s Aus-Spec #1 Design and Construction Specifications and its Water and Sewerage Construction Specifications prior to release of the final survey plan. Contributions set out in the following table are to be paid to Council. d??????? notified the Principal Certifying Authority of the Compliance with Part 6 of the Home Building Act 1989. It is an offence under the provisions of the Protection of the Environment Operations Act 1997 to act in a manner causing, or likely to cause, harm to the environment. Anyone allowing material to enter a waterway or leaving material where it can be washed off-site may be subject to a penalty infringement notice (?on-the-spot fine?) or prosecution. Should operations uncover evidence of Aboriginal heritage of the area, or the presence of any threatened, endangered or vulnerable flora and fauna, all work is to cease immediately and the National Parks and Wildlife Service and the Local Aboriginal Land Council are to be contacted. No work is to recommence until the National Parks and Wildlife Service permits such works to continue. Failure to comply with conditions of this development consent may lead to an on the spot fine (generally $600) being issued pursuant to Section 127A of the Environmental Planning & Assessment Act 1979 or prosecution pursuant to Section 125 of the Environmental Planning & Assessment Act 1979. AUTHOR/ENQUIRIES:???? Patricia Walker, Aboriginal Community Development Officer ???????? The minutes of the Aboriginal Community Advisory Committee meeting held Tuesday 15 December 2009. The minutes contain no recommendations. 2??????? Not endorse the minutes. 3??????? Endorse the minutes with amendments. Members discussed an Aboriginal Protocol document, circulated by Ms Walker (CDO), and were encouraged to read. 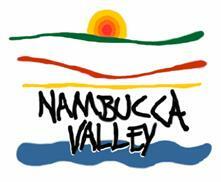 The next ACAC meeting will workshop the document to make it relevant to the Nambucca Shire and its Aboriginal people. Most members briefed about the Christmas period and what their organisation have achieved over the 2009 calendar. There are no environmental issues with this report. There are no risks with this report. Cr Ballangarry, Cr South, Cathy Bula, Raylene Ballangarry, Mila Roko, Barry Ford, Scott Mieni, Terry Marshall, Louise Robinson, Beryl Wilson, Patricia Walker. Cr Flack, Coral Hutchinson, Jennie Rosser. Ms Cathy Bula Chairperson welcomes everyone and declare the meeting opened at 10:40 am. Cathy also inquires if everyone received a copy of the Aboriginal Protocol document. Declaration of Pecuniary Interest ? none declared. Beryl Wilson enters the meeting at 10:42 am. Ms Walker attempted to contact LALC's CEO's for agenda items. CEO's were at a regional meeting. Members agreed to keep trialling the process. Cr Ballangarry enters the meeting at 10:45 am. Ms Bula requested that members read the document so that each heading can be worked on in 2010. Item to be placed on the February 2010 agenda. Cr South enters the meeting at 10:46 am. Ms Robinson reported to members that the meeting held at Muurrbay on Monday 23 November 2009 was attended by Elders, EDO representative and solicitor Redcliffe and a culture and heritage archaeologist. There had been another community meeting held Monday 14 December 2009, where Ms Robinson was to record but advised no Elders had attended. Ms Robinson will attempt to follow up with a meeting with Elders and the solicitor, Mr Redcliffe, so the Part 3A Bellwood proposal can have some Aboriginal input. ????????? Joint Christmas party for the 3 LALC's and their board members at the Ocean Chill restaurant, Thursday 17 December 2009 commencing at 6 pm. ????????? Ms Robinson will be attending the Council meeting for this date, to raise issues in relation to BWS being built at Bellwood. The impact of the BWS will impact on the alcohol and violence issues. Ms Robinson notes the NH Chambers of Commerce concerns in regards to drink driving offences and highway crossing for the purchasing of cut price liquor. ????????? Ms Robinson will take to the Council meeting statistics on alcohol related issues. ????????? all the organisations' Christmas parties are over. ????????? The service will be closed from the 25/12/09?3/01/10. Only services operating over this period is the high level care clients. Mila will be on call. ????????? the LALC's housing will be contracted out to the Many Rivers Regional Housing Management Services Aboriginal Corporation with the board determining the terms of arrangement. ????????? community day in Bowraville ? Beyond Empathy in partnership MiiMi, have acquired a Jobs Fund grant ($1.2m) to increase facilities that assist the increase in employment within Bowraville. There will be a meeting at the Bowraville Theatre with a market/Christmas carolling and fireworks in following. ????????? 'Bowra Bucks' can be spent here at the markets, a question as to whether Bowra Bucks to be declared to ATO. ????????? the IEP (Indigenous Employment Panel) contract has come back. DEWR finds panel members to auspice funds. First program ? pre-employment. ????????? Staffing levels have increased. ????????? Partnering with Council and Comet for Jobs Fund for energy efficient windmills but missed deadline. Comet need maintenance people, Ngurrala is negotiating for Aboriginal employees. ????????? The Aboriginal Youth Worker position ? what's happening? CDO to inform members of the AYW position when information is available. Ms Walker advised that she will be on leave and unavailable from the 25/12/09 ? 18/01/10. ????????? Funding for TAA course for 14 Aboriginal people - training small groups. ????????? Applied for funding for a training centre, NCAP will attempt to negotiate with the owner of 22 Wallace St, Macksville. ????????? Meeting with Fiona Hyland (TaFE) to find Indigenous trainers to train Indigenous classes. ????????? Employment for trainees at end of courses. ????????? NCAP in partnership with TaFE for hairdressing course. 10 participants for a Cert II in Hairdressing. Ms Bula negotiated with a salon to sublet every Wednesday for the course. The Cert II will enable participants to start their own business or 'rent-a-chair'. Next meeting ? 15 February 2010, venue to be advised. Ms Bula thanked members for attending the meeting. There being no further business, the meeting was declared closed at 11:30 pm. The proposal for the 40 km/hr high pedestrian activity area was placed on exhibition from 2 December 2009 until 14 January 2010.? Two responses for, and one against were received. At this time Council needs to secure the approval of the Roads and Traffic Authority (RTA) for the proposal and to receive external funding as a grant as the next step. 1??????? That Council adopt in principal the exhibited 40 km/hr high pedestrian area for the Macksville CBD. 2??????? That the adopted plan be submitted to the Roads and Traffic Authority for assessment and funding. Council resolved on 18 November 2009 to consult the community and to place on exhibition the proposal to install a 40 km/hr high pedestrian activity area in the Macksville CBD. 9.??????????????? Unkya Local Aboriginal Lands Council. The proposal was advertised in the Guardian News (3 December 2009) and the Hibiscus Happynings (2 December 2009) with plans and the original report to Council on display at Council?s Administration Centre and the Macksville Library. The submissions are not extensive and more may come forward as the proposal gains momentum. ?????????????? One pedestrian refuge in Wallace Street. The proposal does not include raised platform or kerb blisters. Project aims to improve pedestrian safety. Project reduces the number of parking spaces by two (2).? This is seen as a potential economic negative. Funding may not be available from the RTA. The project will not get universal acceptance as the choice becomes a pedestrian refuse verses car parking spaces. Project unlikely to be approved in time for current budget.? Finances depend upon a grant from the RTA?most likely in 2010/2011 financial year. A 100% grant will be sought from the Roads and Traffic Authority. A number of organisations have been selected at random to generate feedback on a proposal for the Macksville CBD area. A concept has been developed to implement a 40 km/h high pedestrian zone in Wallace Street, River Street (west) and part of Princess Street, Macksville to improve pedestrian safety. Enclosed please find a copy of Council?s advertisement, together with a photograph and plan for your information as well as the report presented to Council on the19 November 2009. AUTHOR/ENQUIRIES:???? Tim Woodward, Noxious Weeds Inspector ???????? The Department of Industry and Investment are implementing the NSW Weeds Action Program for the 2010-2011 financial year. The NSW Weeds Action Program replaces current Noxious Weed funding arrangements and funding will be targeted at meeting the outcomes of the NSW Invasive Species Plan. Weed funding applications will be region based, rather than Local Control Authorities submitting individual applications for funding. Council is currently a member of the North Coast Weeds Advisory Committee. It is considered to be beneficial to resign our membership from this Committee and apply for membership to the Mid North Coast Noxious Weeds Advisory Committee. The Mid North Coast Noxious Weeds Advisory Committee is proving to be the leading agency in the development of strategic plans that will deliver the desired outcomes of the NSW Invasive Species Plan. 1??????? That Council note the report on Changes in Weed Management. 2??????? That Council approve the resignation of membership from the North Coast Weeds Advisory Committee as of June 2010. 3??????? That Council apply for membership to the Mid North Coast Weeds Advisory Committee to be a part of the new funding application under the NSW Weeds Action Program. ??????????? To move to the Mid North Coast Weeds Advisory Committee to be part of their regional NSW Weeds Action Program funding application to meet the outcomes of the NSW Invasive Species Plan. ??????????? To remain with the North Coast Weeds Advisory Committee for the regional NSW Weeds Action Program funding process. The Department of Industry and Investment have changed the current Noxious Weeds funding process and are seeking one regional grant application for a 3 to 5 year period, that meets or exceeds the targets set out in the NSW Invasive Species Plan. Currently Council is a member of the North Coast Noxious Weeds Advisory Committee who applies for regional group project funding for individual weed species control within each individual Local Control Authority. Council also applies for matched (50:50) funding to implement a Noxious Weed inspection program across all land tenures within the Nambucca Shire. New funding arrangements under the NSW Weeds Action Program have abolished this current grant process and only one application per region is expected by the Department of Industry and Investment to deliver the outcomes of contained within the NSW Invasive Species Plan, furthermore Council is no longer required to match funding within this process, although Council still has a responsibility to meet its requirements within the Noxious Weeds Act 1993, in regards to the reporting and management of Noxious Weeds within the Local Control Authority area. NSW Regional Weeds Action Program ? projects involve a number of stakeholders in a region working together. This is a regional component to help local weed control authorities and other stakeholders develop partnerships to effectively target weeds; identify and stop new weeds early and increase community involvement in weed management. The Mid North Coast Noxious Weeds Advisory Committee (MNCWAC) is proving to be the leading organisation in the development of a regional strategy that meets or exceeds the outcomes of the NSW Invasive Species Plan.? The MNCWAC current members include Council representation from Great Lakes, Taree, Gloucester, Port Macquarie and Kempsey, as well as other stakeholder group members. All of these Councils are similar to the Nambucca Shire Council, in that they employ only one Noxious Weed Officer per Local Control Authority area. The member Councils are similar in size to ourselves and face the same difficulties with regards to funding and resource constraints. The MNCWAC are already targeting a large proportion of their regional activities to meet the outcomes of the NSW Invasive Species Plan, with education, extension and awareness programs a high priority. Some examples of this include the regular media releases in the North Coast Town and Country magazine, which reaches approximately 50,000 readers within the Mid North Coast Region. Other initiatives include the production of calendars that contain advice and information on weeds species appropriate for control each month. The Northern Rivers Catchment Management Authority have provided extensive funding for weed control within private lands in the Nambucca Shire, which has targeted vine weeds in the riparian zones that have been identified as a Key Threatening Process by the DECC. This funding has been administered by the Mid North Coast Weeds Advisory Committee within the Nambucca, with reporting also conducted through the MNCWAC. Currently the North Coast Weeds Advisory Committee is made up of Nambucca, Bellingen, Coffs Harbour, Clarence Valley and Far North Coast Weeds (county council). Currently Nambucca Shire Council contributes a similar amount financially to the NCWAC as the other representative Councils (including the County Council), which I deem as inequitable given the ratepayer base and physical area covered by some of the other member entities. The Mid North Coast Weeds Advisory Committee have formed a sub-committee whose brief is to employ a consultant to develop a business plan that meets Local Council and the Department of Industry and Investments expectations. Council and other stakeholder groups will provide input in the development stage of this business model. The development of a comprehensive business plan and subsequent application is pertinent as the new funding period is for a 3 to 5 year period, from July 2010. To date the NCWAC have not planned to develop a business plan and given that the regional application needs to be finalised before May 2010, a business model needs to be developed in a timely manner to ensure that all parties are satisfied with the plan, prior to the application submission. Furthermore under the new funding program the current County Council administration fee is to be dropped and Far North Coast Weeds could be looking at retaining a greater share of the Weed Action Program funding to make up for this shortfall. Regular communication has been made with members of the Mid North Coast Noxious Weed Advisory committee including the project manager, Terry Schmitzer and with the Industry and Investment (previously Department of Primary Industries) Regional Weed Coordinator, Rod Ensby. Regular communication with the Director of Engineering, Bruce Redman and Manager of Civil Works, Noel Chapman has been made to highlight the pending changes in Weed Management.?? Noxious and environmental weeds reduce biodiversity and pose a threat to native flora and fauna populations. Weeds can impact agricultural production, can reduce aesthetics for residents and visitors to the area and some have direct human health implications. The new Weed Action Program will require some changes to the current funding arrangements, but will be within current budgetary levels.? If Council is not involved in the regional Weed Action Program, State Government funding will be lost and Council could be in breach of the Noxious Weed Act, with subsequent penalty.? Council has an obligation to control weeds and ongoing funding is required. There is no specific requirement to increase funding however improved mapping may clarify future funding requirements. No additional funds are required.